How does entering Australia with a dog work? We move back Down Under and of course she has to come with us, man’s best friend. Some people will react oddly and point out to you that it doesn’t make any sense from the cost point of view and it would be better to leave the dog in Germany. It can only come from someone who doesn’t have a four-legged friend of his own. Unfortunately, the procedure is infinitely lengthy and not exactly cheap. In principle, this is the rule rather than the exception for Australia, so don’t let it deter you. It takes a lot of planning and months of preparation until the dog meets the high standards for Australian import regulations, but it is feasible. To overcome all hurdles and to import your dog successfully from Germany to Australia, I want to give you a short overview of the most important questions. How much is it? How’s the quarantine going in Australia? Which steps belong exactly to the export preparation and much more. Which dogs are allowed in Australia? The dog must not be pregnant for more than 30 days. They may not suckle another pup at the time of export. The dog must not belong to one of the forbidden dog breeds or dog crossings in Australia. The Australian authorities don’t make it easy for you and if you want to import your dog from Germany to Australia, you actually have to start planning pretty early. It is very important to be able to show all documents, as the import regulations are very strict and it can happen that your dog does not get past the Australian airport. You need a minimum lead time of 6 months (for dogs already vaccinated against rabies), better 7 to 8 months (for puppies and dogs not yet vaccinated against rabies). A microchip is required for any type of blood test and must also be scanned at each visit to the vet. Without a microchip number nothing really works, which is why it should be number 1 on your to-do list. The number must also run like a red thread through all the documents and tests you request for the dog. Make sure that it is stated everywhere so that the export to Australia runs without problems. You must make sure that your dog is at least 90 days old or older at the time of vaccination. If your dog has just been vaccinated against rabies, make sure that this test is not carried out earlier than 30 days after vaccination. The necessary blood sample must be taken by an official veterinarian and tested by a state laboratory. It is also important to know that you need the laboratory result in English and that the microchip number of the dog must appear on it. For smooth export to Australia, the type of rabies Titre test performed must also be indicated on the test result. It is very important to know that your dog may need to be re-vaccinated and the Rabies Titre test will need to be repeated if the test results do not meet the required values. The result from the laboratory must be checked and confirmed by the veterinary office. This written confirmation together with laboratory results of the rabies titre test is required to apply for the so-called import permit, i.e. the Australian import permit. Unfortunately you can’t have this step done by a normal veterinarian. You will need the official stamp and signature of the veterinary office. You must apply online for the import permit at least 42 days before the planned export or import to Australia. How much is the import permit? Such an import permit, i.e. entry permit for Australia, is only valid for 12 months from the day you receive the confirmation. Now you have all the documents you need to successfully import your dog into Australia. Now you can finally start to book the quarantine station for your four-legged friend. How long must the dog be quarantined in Australia? The time was reduced to 10 days quarantine a few years ago. However, the quarantine period can be extended if the Australian authorities find a tick on your dog when you enter the country. Then the time increases to 21 to 30 days, because all rabies blood tests have to be done again, which are not only time consuming, but can also cost you a lot of money. Therefore really make sure 100% that your dog is imported tick-free to Australia. What quarantine stations are there? Unfortunately there is now only one quarantine station in Mickleham, 30 km north of Melbourne. There used to be a second one in Sydney, but it was closed in November 2015. How can I book a place in the quarantine station? You can easily book a place for your dog online for the quarantine station Mickleham. How does my dog get to the quarantine station? He will be picked up by officials of the Department of Agriculture at the airport and taken to the quarantine station. Unfortunately, you are not allowed to see your dog at the airport immediately after arrival, nor are you allowed to visit the quarantine station. How much are 10 days at the quarantine station in Melbourne? The daily maintenance fee for the quarantine is 29 AUD. After booking into quarantine, it is a good time to book a flight for your dog to Australia. Of course under the condition that the blood values of your dog were within the required range. Just make sure you choose a date that is at least 180 days in the future. Then you shouldn’t have any stress with the rest of the appointments you have to work through. The import permit for Australia, which you will apply for later, must be sent with the animal like a kind of freight note. Your dog must be presented as ‘Manifested Cargo’ in a special dog box. If everything goes smoothly, you will be notified by email from the Department of Agriculture within 24 hours of your dog’s arrival. A few weeks before departure your dog must be treated for parasites such as fleas and ticks (external). It is recommended to repeat the treatment a few weeks before departure to make sure that your four-legged friend is clean. The blood collection must take place after the external treatment for parasites and must take place within a certain period before departure. Attention: If the dog has caught new ticks after the blood collection day, the external treatment for parasites and the complete blood collection must be repeated. It is therefore worthwhile to keep the dog away from woods or bushes where he could get ticks during the last 45 days before departure. This test does not have to be performed if the dog is neutered. This test need not be performed if the dog is vaccinated against Leptospira Canicola. Your dog needs two treatments that must be at least 14 days apart. The second treatment must be done within a certain time before export and both treatments must be done within the last 45 days before departure. Almost there. One of your last to-do’s is a repeated veterinary examination within the last 5 days before the deadline for your dog to go to Australia. Your four-legged friend must be checked by an official veterinarian for external parasites and signs of infections and diseases. For this you have to take all documents you have collected so far with you. The Veterinary Office now only has to fill out Appendix 1 of your import permit and you are good to go. Summary – Which accompanying documents does the dog need for the trip to Australia? What is the total cost of transporting your dog from Germany to Australia? Transport: 3000 Euro including transport box for the dog. If you want to take your dog with you to Australia, it is important that you approach the whole thing in a structured way and really do everything as the Department of Agriculture dictates. 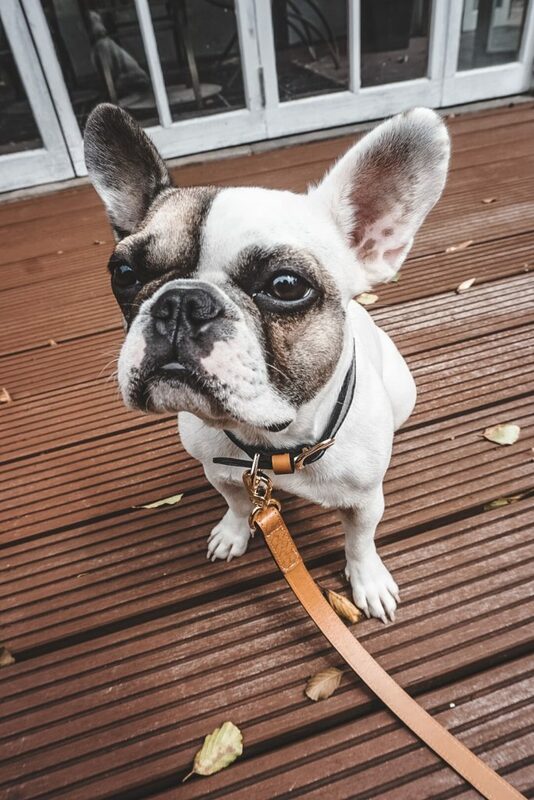 Otherwise your dog may not be accepted by the Australian quarantine station when entering the country and then the dog may be sent back to Germany immediately by the next plane (at your expense).